Place 2 cheese strips in the seam of each warm bun. Top each with a hot dog sausage. 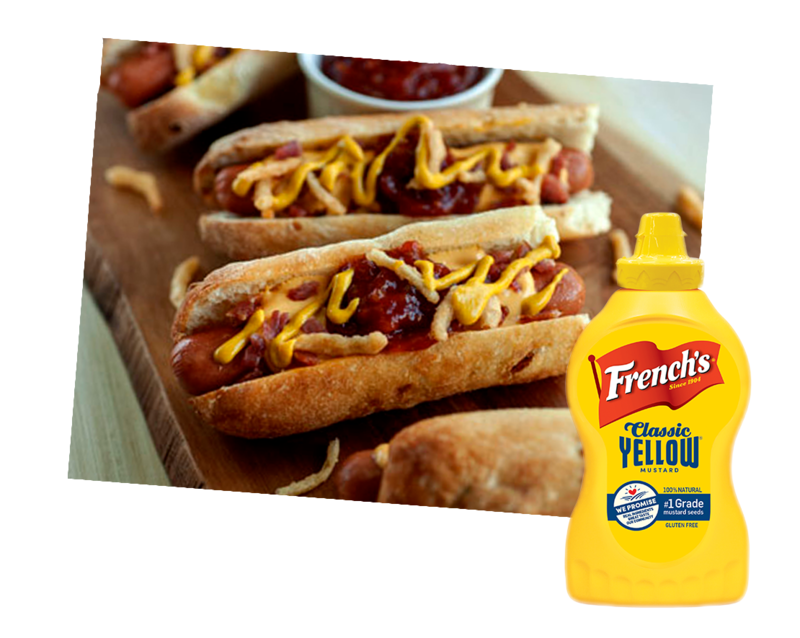 Cover with relish and a drizzle of the French's Classic Yellow Mustard, then top with the cooked onions.